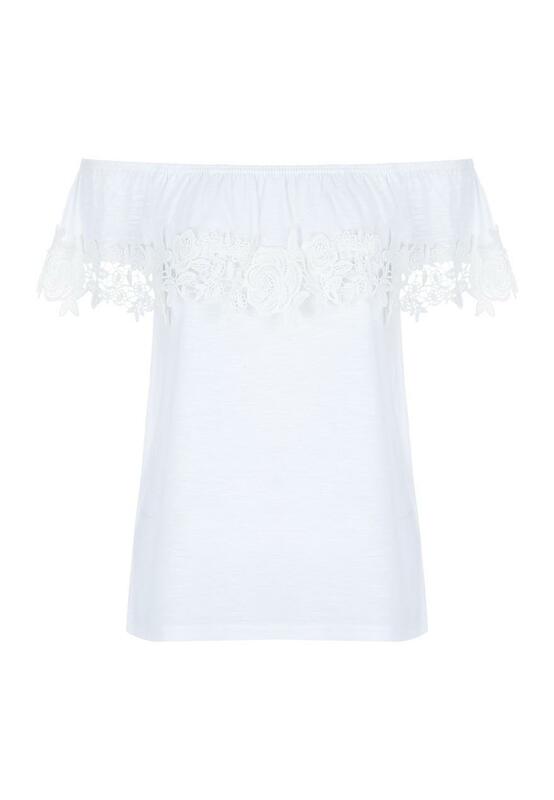 Add this versatile top to your new season wardrobe. In white, featuring a flattering bardot neckline with a crochet trim, it can be dressed up or down with ease. Just what I wanted for forthcoming holiday. Good price, good quality. Thank you.